Work, work, work. That’s all you seem to do. You might be an entrepreneur desperate to get their business off the ground, a single parent struggling to provide for their family, or an overworked manager juggling the role of what should be two professionals. Whatever your circumstances, it feels like you’re being consumed by your “need” to work. 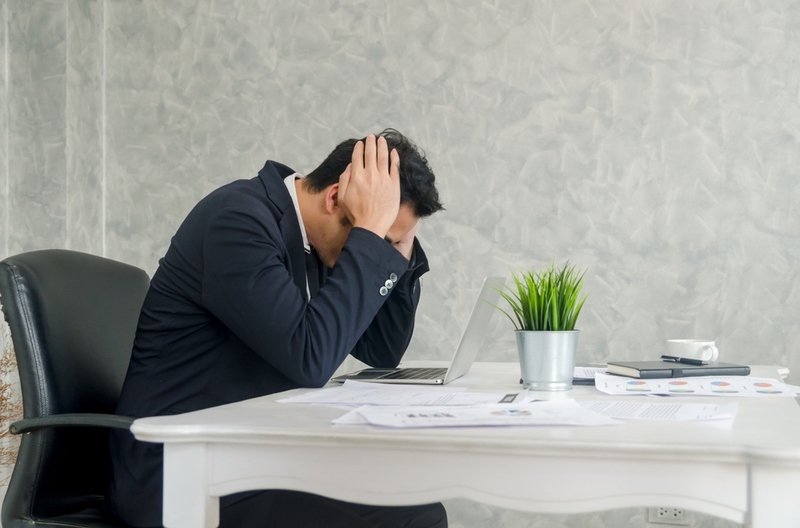 It’s something everyone feels on occasion, but when those feelings translate into mental and physical complications, it could mean that you’re on the brink of burning out. If someone is experiencing a burnout, it means that they are physically and mentally exhausted. This feeling is generally caused by the onset of stress stemming from a plethora of sources. You become overwhelmed, drained, and unable to perform at your best. Some, even begin to question their reason for taking on certain roles. When you’re burned out, the passion is gone, and your ability to work hinders everything from your finances to your personal life. You’re Drained – Getting sleep but still feeling fatigued the next day? Have you come to dread the days ahead and the responsibilities that come with it? Do you often have feelings of hopelessness and feel like your job, your role in your family even life are pointless? If you’ve answered yes to any of these questions it means that you are physically and emotionally drained and could be on the brink of a burnout. Your Physical Health is Taking a Hit – Chronic stress after a while can wreak havoc on your physical well-being. If you are experiencing unexplained body aches, pains, or other medical issues? This is your body’s way of letting you know you’re taking on too much stress. You’re Self-Medicating – Do your night’s end with a few drinks of alcohol to ease the stress? Do you only find comfort when drinking or abusing other substances? You’re self-medicating and using the numbing and alluring effects of drugs and alcohol to cope with the increased levels of stress in your life. As addiction is a dangerous disease, if you have reached this point you need to find an alcohol detox treatment center to get clean. You’ve Lost Motivation – No one’s life is peaches and cream all the time, but if you’ve lost the desire to do certain things – like go to work, this is a serious problem. Constantly snoozing the alarm, unable to focus on the task at hand in the office, feeling less and less inspired to get things done, these are all signs you’re under a lot of stress. You’re Messing Up on Little Things – When you’re overwhelmed and don’t do something about it, eventually it begins to show up in your performance. You may not be late to meetings or messing up on big projects, but perhaps you’re forgetting to send out emails or make copies of documents you’ll need later. When you’re messing up on small things in the office, you’re probably overworked and about to burn out. It’s okay to want to work hard. Hard work is essentially what gets the bills paid and affords you a better life. Yet, when you’re working so hard that you’re physically and mentally exhausted, it can cause serious problems. If you’re experiencing workplace stress or feel that you’re on the brink of a burnout it is imperative that you act. Take time off, talk to your employer, speak with a therapist, or reduce your responsibilities so that you can regain your mental strength before it takes over your professional and personal life.